If you’ve decided to redesign your website, you may be tempted to jump right into compositions and get that new design launched. Not so fast. Throughout the redesign process, there are several steps along the way where you should leverage user experience testing to ensure the redesign is effective and meets its stated goals. The first step in the redesign should be discovery. Before a single design concept is created, you should go through an entire discovery process and understand what the expectation is of the redesign, including usability, user interactions by device, what expectations there are per device, where things change, what priorities exist for visitors, and what information must appear and be prominent. It’s important at this stage to explicitly state what a conversion means. Is a conversion an order? A download? A visit to another page? It must also be understood what conversion means per device – you might want someone on their mobile device to call you and someone on a desktop to fill out a longer form, for instance. Understanding which goals you want your visitors to accomplish will help you to lay the groundwork for the correct features to test. Once the discovery phase is complete, you should have a clear understanding of what you want your visitors to experience. It’s always a good idea before something is built to conduct some user testing. Find a few trusted advisors outside of the organization to see if they can easily identify key elements in the initial compositions. This can be achieved through a simple survey by asking users to find search or identify certain elements in the navigation, for instance. Even if you know your visitors well, this sort of testing can be useful to identify any unexpected issues. Sometimes, things that make sense to you and your designer won’t make sense to your end user. Identifying potential issues at this stage saves many headaches in the future. While device emulators don’t give you the exact layout and functionality, they can give you a good idea of what things on your site will look like on mobile devices. During the final QA is when physical devices are also used. Some devices, for example Windows phones, are special case that require special coding and testing for a design and development team in order to prevent usability issues. These usability issues wouldn’t be discovered without special device emulation and physical device testing. Discovery documents should also be reviewed before launch to ensure usability is upheld according to the initial plan and that the end goals were achieved as outlined in the document. For example, with a non-profit responsive site, the main element to test for would be purchasing a membership or subscription from any device. The goals and objectives will change by site and you as the site owner will typically know which actions you want your site visitors to take and should then test that those are easily accomplished. Developers should also relay the list of important processes and objectives for user to test. Heavy client internal testing is also important because there may be elements of the site that may not have been defined or outlined well in the development brief that could have been overlooked. You and internal team members should review the site for bugs alongside your developers – bug reporting systems exist, such as Mantis, that can help you easily document bugs and share with all on the project. Ultimately, it’s important to test throughout the redesign process to ensure that not only is the website functioning as it should, but also that the design is achieving the user experience goals you set out to achieve. Interested in redesigning your website, but need some help getting started? Contact us today. 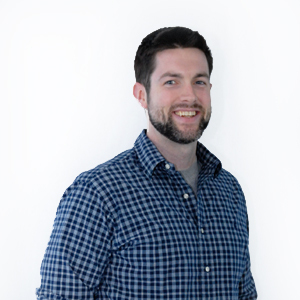 Joining the team in August 2011, Matt oversees all design and creative output from Unleashed Technologies. With more than ten years of experience in both design and frontend development, Matt ensures that all client deliverables are on brand, aesthetically appealing, fully functional and easy to use. During his tenure at Unleashed Technologies, Matt has made significant contributions to many Drupal, WordPress, Magento and Symfony projects.